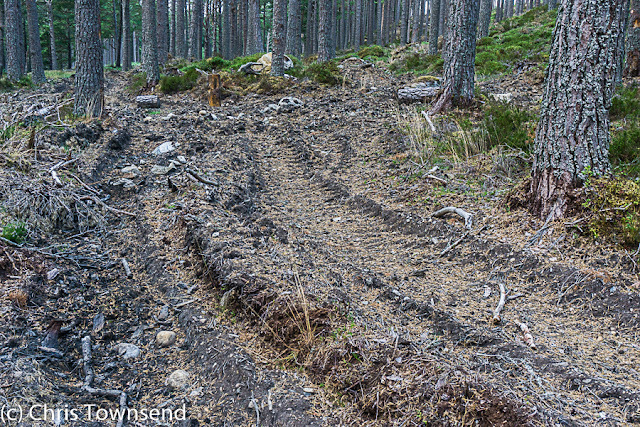 Chris Townsend Outdoors: Loch an Eilein revisited: how's the damaged forest? 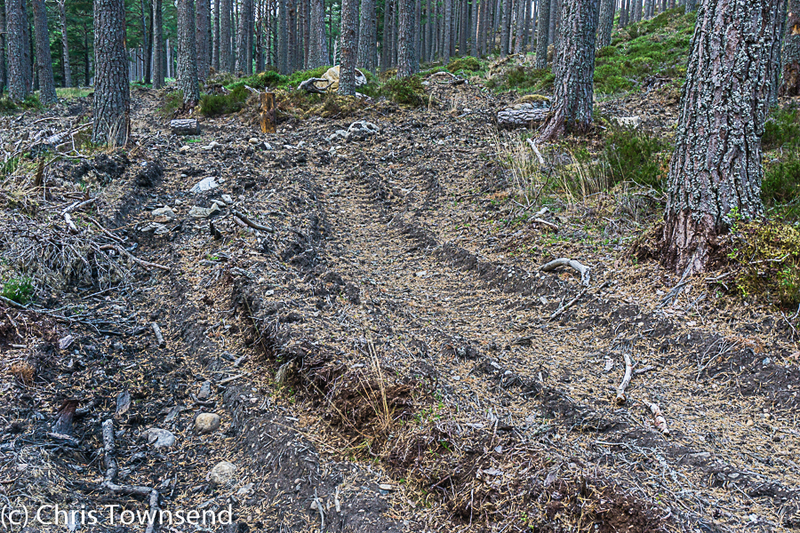 Loch an Eilein revisited: how's the damaged forest? 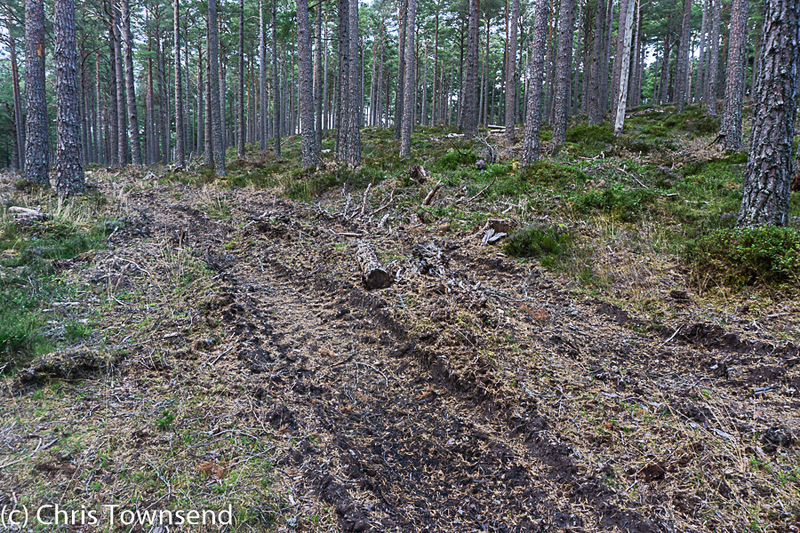 In March last year I visited Loch an Eilein in Rothiemurchus Forest in the Cairngorms and was appalled at some logging that was taking place. I wrote about that here. Following that piece I was invited by the estate to come and talk to them. 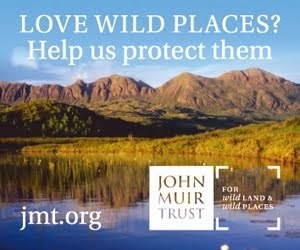 I did so and was given assurances that the logging was for conservation, that it was to open up the forest to more undergrowth and provide a better habitat for conservation. I was unconvinced. I still am. 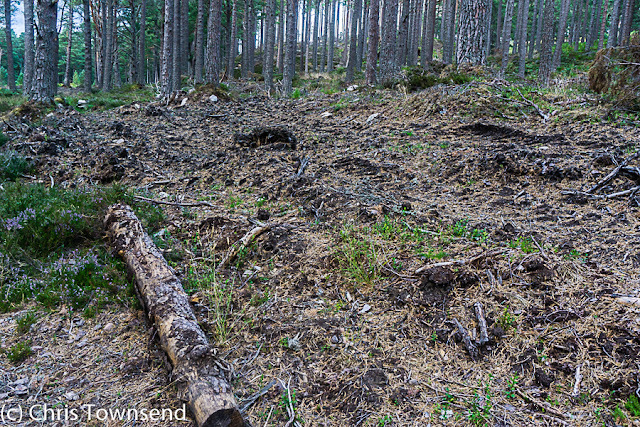 I can see no justification to damaging pristine pine forest. On the last day of July this year I returned to Loch an Eilein to see what the logged area looks like now. I'd been told it would be tidied up and the signs of logging would soon start to disappear. Sixteen months later there's not much sign of that, as these photos show. It's still an ugly mess, an eyesore. 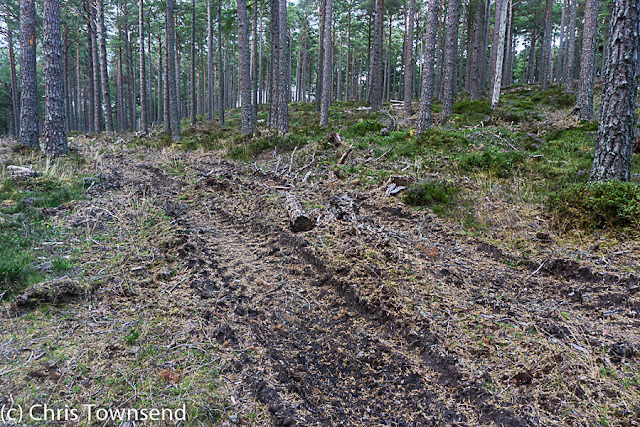 The damage will fade over the decades of course, though those vehicle tracks will remain scars for a very long time, but this should never have been done in one of the last remnants of natural Caledonian pine forest. 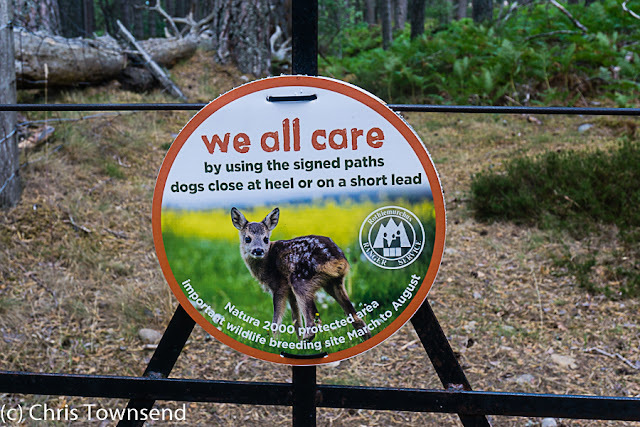 Meanwhile the estate is still asking walkers to stay on signed paths and saying 'we all care'. This sign is on the gate leading to the logged area. How long would it take walkers wandering off the paths to do this damage? 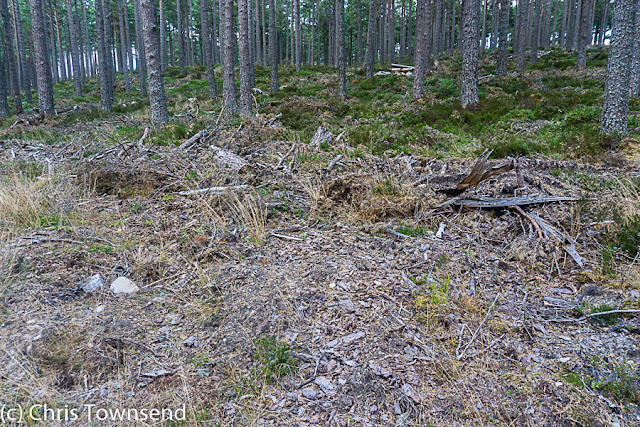 Last year I walked through the logged area at the start of my walk - I didn't know it was there - and it shook me. I thought about it most of the day. 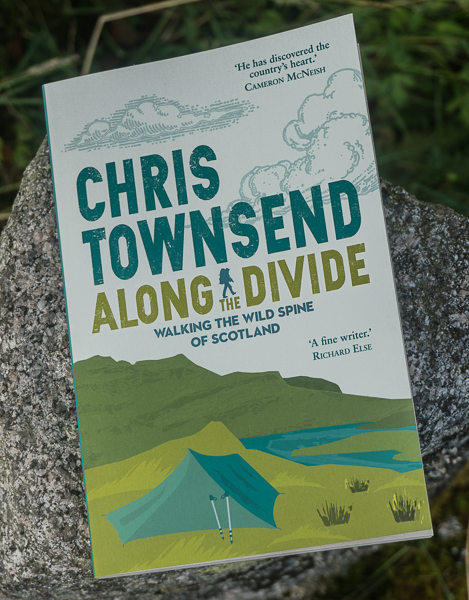 This time I did the same walk but went round the other side of Loch an Eilein so as to avoid the area until the end of the walk so the sight of it didn't spoil my day. I'll share some pictures and describe the walk in my next post. 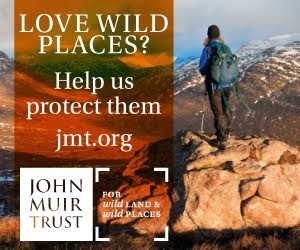 Thank you Chris.It really is disturbing to see this outright environmental vandalism of a part of this unspoilt wild forest of the north!I do hope the organisation behind this destructive act get reprimanded and don't do something like this again!. J Hobbs.